Black water fever is a complication of malaria characterized by rapid and massive intravascular haemolysis, haemoglobinuria and kidney failure. 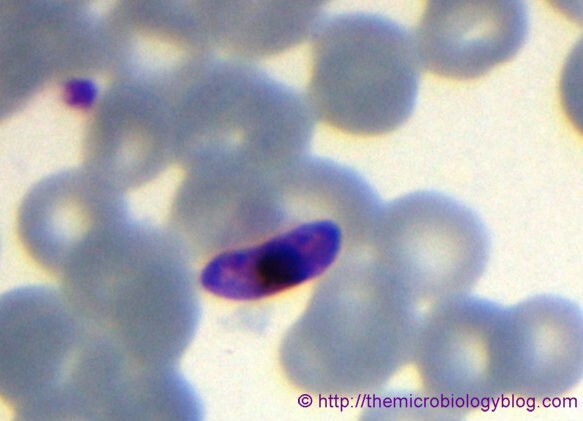 Black water fever is caused by heavy parasitization of red blood cells with Plasmodium falciparum. Within a few days of onset there are chills, rigor, high fever, jaundice, vomiting, rapidly progressive anaemia and the passage of dark red or black urine. (the urine is dark due to the presence of free haemoglobin as methaemoglobin or oxyhaemoglobin in it). The cause of haemolytic crises in this disease is unknown. There is rapid and massive destruction of red blood cells with production of haemoglobinemia, haemoglobinuria, intense jaundice, anuria (passage of less than 50 milliliter of urine in a day) and finally death in the majority of cases due to kidney failure. An autoimmune mechanism has been suggested in the pathogenesis of black water fever. In majority of cases malarial parasites are not found in the peripheral blood as they are destroyed during the phase of haemolysis. WHO ARE PRONE TO THIS SYNDROME? Ø In severe cases intensive care medicine and dialysis. Black water fever is much less common today; it may be that quinine plays a role in triggering the condition, and this drug is no longer commonly used for malaria prophylaxis, though it still remains important for treatment of malaria.